1. 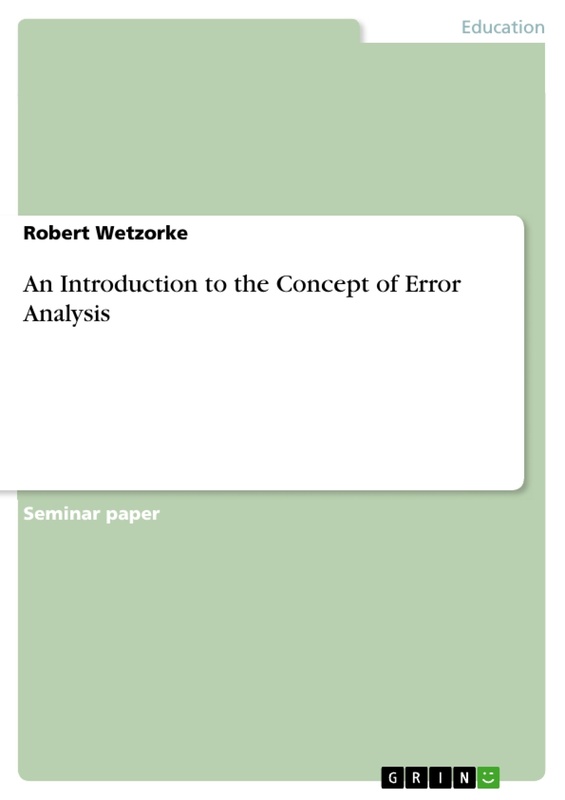 What is error analysis and what are its goals? 5. Error correction: Whether, when, what and how to correct? Foreign Language Pedagogy (FLP), in general, aims to convey to teachers the essential information about the role of the learner and the teacher in the process of language learning, and also provides them with theoretical, didactic methods and practical means for the foreign language classroom (FLC). We can even go a step further by claiming that the mission of FLP is to research for and establish the supreme way of a teaching a foreign language (FL) to the learners. However, within this field of research it becomes quite obvious that the learners take in a rather passive role and do not contribute very much to new research data and, hence, new approaches towards foreign language teaching (FLT). This thesis can be held true, to give just one example, when we consider the various teaching methods for the FLC. Although the role of the learner is taken into account in each method, the learners are fairly more than “testing objects” of teaching models hypothesized by didactic scientists. On the other hand, one must admit that in correspondence with the recent emergence and establishment of the communicative approach (CA), the learners preferences and demands have been taken far more into consideration and their linguistic and communicative performance serve as source for methodological research input and constructive, teacher strategies-oriented as well as learner strategies-oriented output offered by science. Recently, and paradoxically enough, it can be perceived intensive discussion concerning the question how to deal best with errors produced by learners. 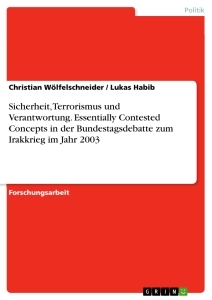 More precisely, there has been a shift from the formerly applied “Contrastive Analysis” (CAH) toward the occupation with “Error Analysis” (EA). The major distinction between CA and EA lays in the fact that the former has a limited view in that it concentrates its survey on the differences between the learner’s first language (L1) and second language (L2) as the most (if not only) significant source of error, or, as will be explained in the course of the paper, of “interlingual interference”. The latter one, on the contrary, also reveals errors that are deemed to be of “intralingual interference” (within the target language/ TL), which then can be traced back to the learner employing so-called learning strategies (mainly communication strategies). Here one can detect the correlation between the CA and the development of EA. Another reason for a revised contemplation of dealing with errors could be seen in context of the worldwide globalization and English as “Lingua Franca”. For instance, for more than a decade by now we have been discussing the pros and cons of both non-native teachers (NNT) and teachers with native speaker-like competence and this is one of the questions yet to be answered by EA. The main reason, however, why currently there are so many arguments in favour of exploring EA is not necessarily a feeling of fear concerning the consequences of error for the learners’ language development. Quite the reverse is the case: Even though, of course, the occurrence of error is actually not desirable in terms of the evaluation of the learners’ language progress, there are more and more voices that claim errors to be essential to the learning process (and improvement) and therefore also to be of utmost importance for the methodology of the FLC. Corder, for instance believes that a “learner’s errors … are significant in [that] they provide to the researcher evidence of how language is learned or acquired, what strategies or procedures the learner is employing in the discovery of the language” (Corder in Brown 2000: 217). Before we begin to have a look at the various steps of EA in detail, one last basic question is left: What are the goals of (successful) EA? Macht argues that EA tries to give a precise identification and classification of errors in order to follow its two main principles, one being the obligation to give detailed, helpful, learner-oriented feedback, and the other one being able to focus on specific aspects of the linguistic system (1998: 353). James explains the goals of EA from his point of view, which can be identified in their aim “to prevent obsession with trivial errors and give priority to the ones that really matter.” (James 1998: 205) This reflects at least superficially the overall purpose of EA: to define what is a severe error, especially in context of communication-focused teaching (CFT), and how these errors should be dealt with in the most efficient way for both the learners’ advance in controlling the TL and the teachers’ self-confidence in treating errors effectively. As aforementioned, CAH is the historical predecessor of EA. Furthermore, it is the “studies of contrast between the native language and the target language” which specifically examines “the effect of native on target language” (Brown 2000: 207). 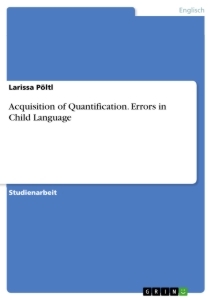 Therefore, CAH inherits the belief that the L2 of a learner develops parallel to the system of the L1, which consequently may lead to interlingual interference (Macht 1998: 355). Brown even claims that this effect can be observed vice-versa, that “the second language also influences the first” (Brown 2000: 213). This is why CAH is often criticized for neglecting the impact of intralingual interference on the learners’ error production and for focusing too much on the negative interfering effect of the L1 on L2 learning. Indeed, CAH ignores the fact of the existence of intralingual errors (Brown 2000: 215). While he admits that interlingual interferences can almost occur anywhere and on any linguistic level, Macht also points out that interferences with the mother tongue are not at all the main source for making errors (1998:355). CAH analysts justify their special emphasis on negative L1 transfer by arguing that it can serve as a source for predicting potential difficulties of students when learning the TL. “Those elements that are similar to the [the learner’s] native language will be simple for him and those elements that are different will be difficult.” (Lado in Brown 2000: 209) Whatsoever, the main belief of CAH still remains: Interferences have to be detected and overcome by the learners themselves (Brown 2000: 208). In this concept learners have to recognize – through acknowledging their errors – that there are interferences between their L1 and the TL in order to eventually make them disappear. Thus, learners in the process of acquiring their L2, create, at least contemporarily, their own system of the TL, which is composed by features of both their L1 and the L2: Interlanguage (IL). officially admitting “the existence of a separate linguistic system […] which results from a learner’s attempted production of a TL norm” and defining the phenomena by labelling it with the term “Interlanguage” (Selinker 1974: 35). In the learner’s attempt to approximate the TL, this means to improve his IL with orientation towards the TL, the learner “makes a number of assertions” (Krashen 1982: 43), thus leading to the creation of an independent, self-made linguistic system incorporating numerous variations and deviances, as, for instance, the risk of ungrammatical and unacceptable NL items becoming fossilized into the learner’s TL (Selinker 1974:36). We will have a closer look at the matter of fossilization later on. However, what is already important to note here is that obviously IL hypothesis stresses the central importance of giving appropriate feedback in order to promote progressive learning (Macht 1998: 356). Selinker argues that there are five central psycho-linguistic processes which establish the knowledge underlying IL behaviour: “language transfer”, “transfer of training”, “strategies of second language learning”, “strategies of second language communication”, “overgeneralization of TL linguistic material” (Selinker 1974: 35). Having dealt with the genesis of EA and some of its most basic concerns, it is now time to look at the process of analysing errors in more detail. The basis for further steps in EA is the task of identifying and describing errors (in various ways and forms). First of all, EA describes learners’ errors in terms of the TL (James 1998: 95). How crucial it is to complete this task sufficiently becomes clear, as the EA system for describing errors must be “well-developed and highly elaborated” and still be “as simple, self-explanatory and easily learnable as possible” (James 1998: 95).